Soldiers with a mysterious sleeping sickness are transferred to a temporary clinic in a former school. The memory-filled space becomes a revelatory world for housewife and volunteer Jenjira, as she watches over Itt, a handsome soldier with no family visitors. Jen befriends young medium Keng who uses her psychic powers to help loved ones communicate with the comatose men. Doctors explore ways, including coloured light therapy, to ease the mens’ troubled dreams. Jen discovers Itt’s cryptic notebook of strange writings and blueprint sketches. There may be a connection between the soldiers’ enigmatic syndrome and the mythic ancient site that lies beneath the clinic. Magic, healing, romance and dreams are all part of Jen’s tender path to a deeper awareness of herself and the world around her. Cemetery of Splendour (Rak ti Khon Kaen) is Apichatpong Weerasethakul's latest film, after the Palme d'or winner Uncle Boonmee who can Recall his Past Lives. The Blu-ray and DVD includes a Making-of Featurette and deleted scenes. 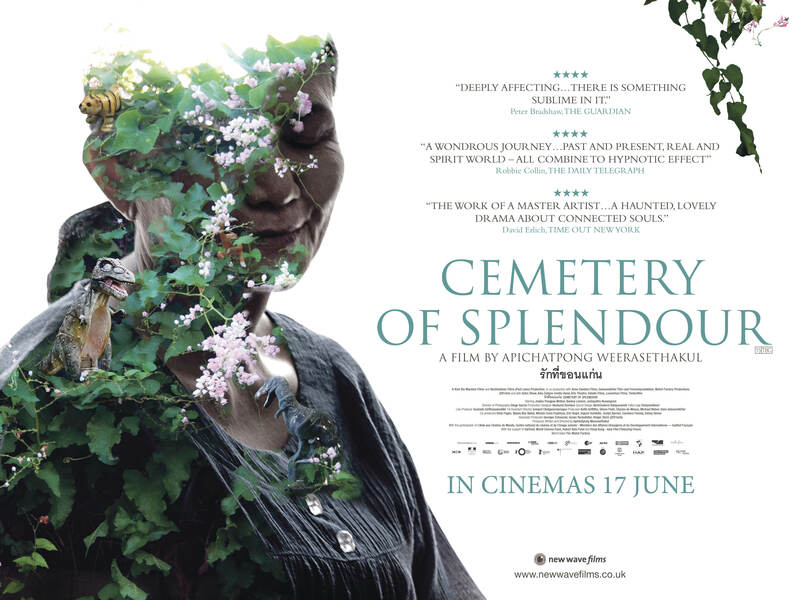 Cemetery of Splendour UK trailer from New Wave Films on Vimeo. 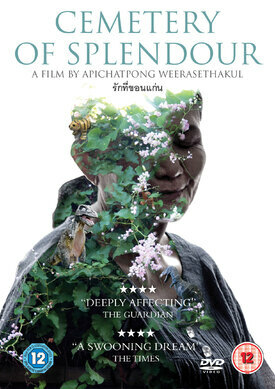 Apichatpong Weerasethakul is recognised as one of the most original voices in contemporary cinema. 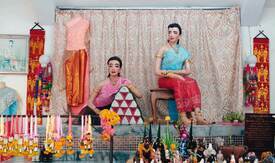 His previous six feature films, short films and installations have won him widespread international recognition and numerous awards, including the Cannes Palme d’Or in 2010 with Uncle Boonmee Who Can Recall His Past Lives. Tropical Malady won the Cannes Competition Jury Prize in 2004 and Blissfully Yours won the Cannes Un Certain Regard Award in 2002. Syndromes and a Century (2006) was recognised as one of the best films of the last decade in several 2010 polls. Mysterious Object at Noon (2000) his first feature has been recently restored by Martin Scorsese’s World Cinema Foundation. Born in Bangkok, Apichatpong grew up in Khon Kaen in north-eastern Thailand. He began making films and video shorts in 1994 and completed his first feature in 2000. He has also mounted exhibitions and installations in many countries since 1998 and is now recognised as a major international visual artist. His art prizes include the Sharjah Biennial Prize (2013) and the prestigious Yanghyun Art Prize (2014) in South Korea. Lyrical and often fascinatingly mysterious, his film works are non-linear, dealing with memory and in subtle ways invoking personal politics and social issues. Working independently of the Thai commercial film industry, he devotes himself to promoting experimental and independent filmmaking through his company Kick the Machine Films, founded in 1999, which also produces all his films. His installations have included the multi-screen project Primitive (2009), acquired for major museum collections (including Tate Modern and Fondation Louis Vuitton, Paris), a major installation for the 2012 Kassel Documenta and most recently the film installations Dilbar (2013) and Fireworks (Archive) (2014). Cemetery of Splendour is his new film, presented at the Cannes Film Festival (Un Certain Regard) in 2015. Apichatpong lives and works in Chiangmai, Thailand. Detalle Films (Mexico), Louverture Films (USA), Tordenfilm (Norway). Eric Vogel, Ingunn Sundelin, Joslyn Barnes, Caroleen Feeney, Danny Glover. Associate Producers: Georges Schoucair, Susan Rockefeller, Holger Stern (ZDF/arte). 'It is another example of this director’s insistence on a spiritual realm which overlaps with our own: a realm from which ghosts and spirits will appear, and be just as ordinary as anyone else. And in this context, Jen’s own loneliness and gentle spirituality are deeply affecting... there is something sublime in it. 'Apichatpong Weerasethakul ruminates on Thailand in his most accessible film to date.